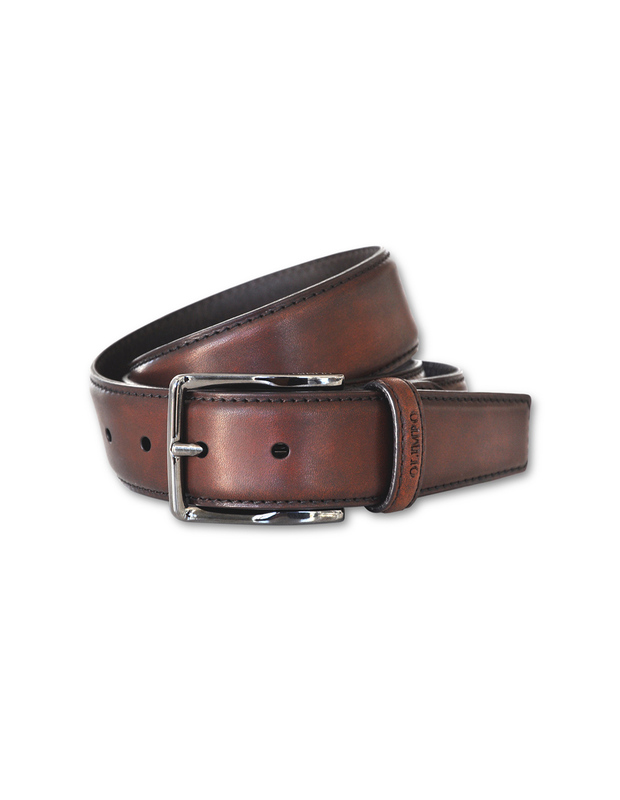 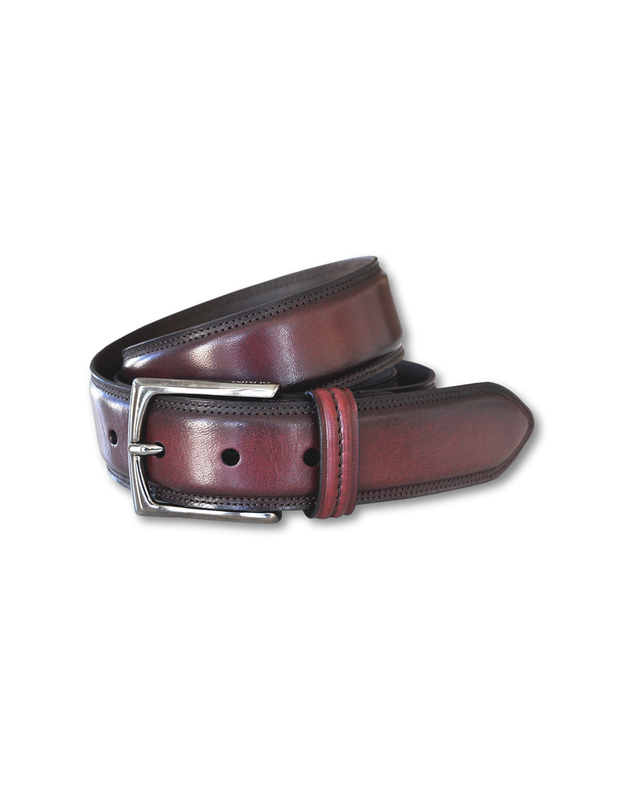 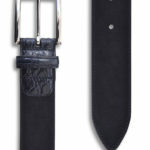 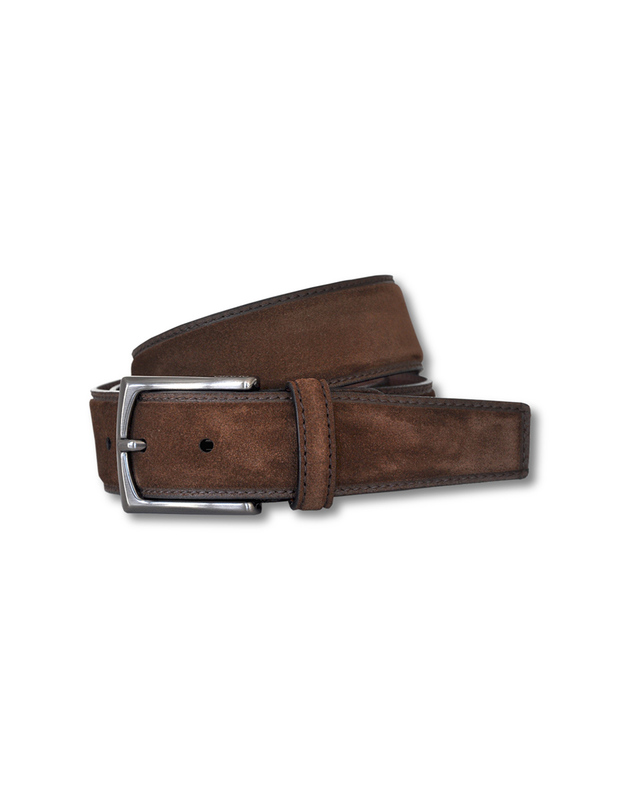 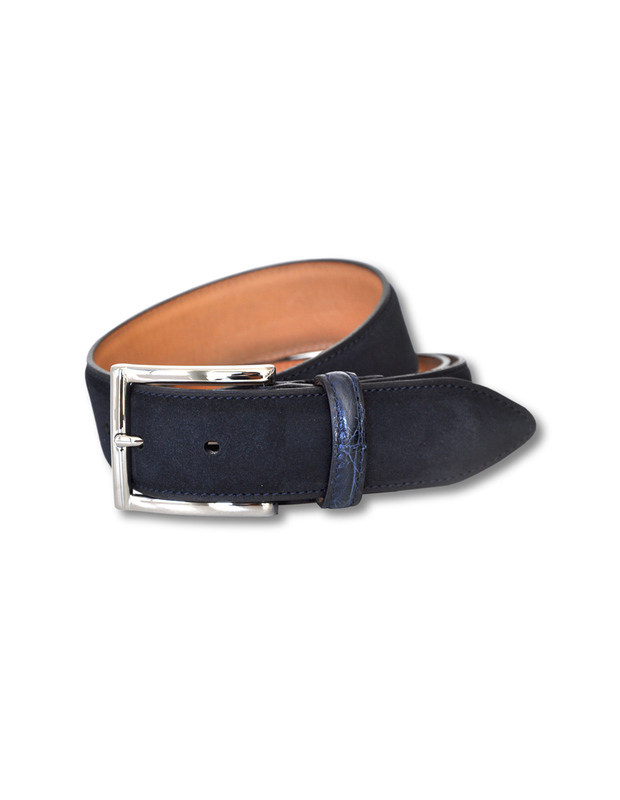 Navy blue belt made of exclusive and exceptional leathers, exemplifies a love of true craftsmanship. 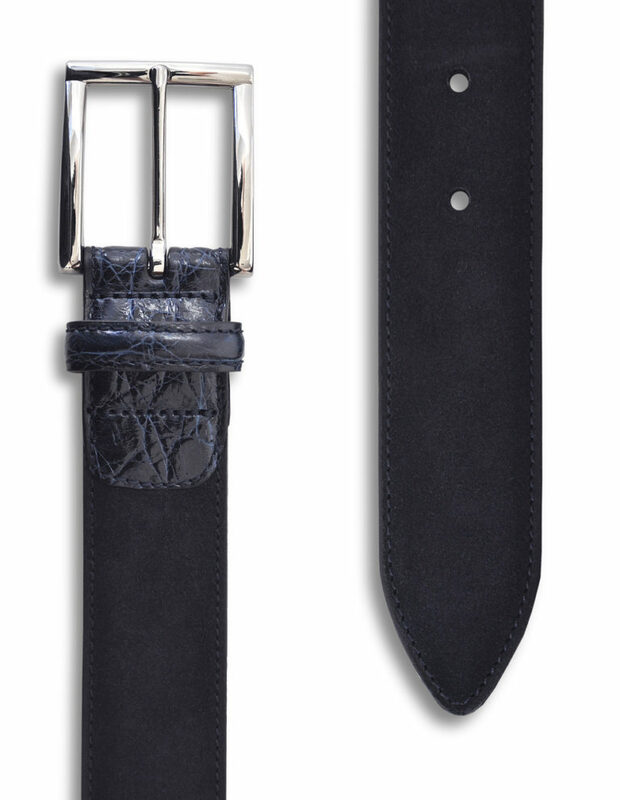 The combination of suede and elegant genuine crocodile results in perfection. 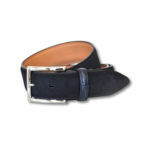 This suede leather feels exceptionally silky-soft to the touch. 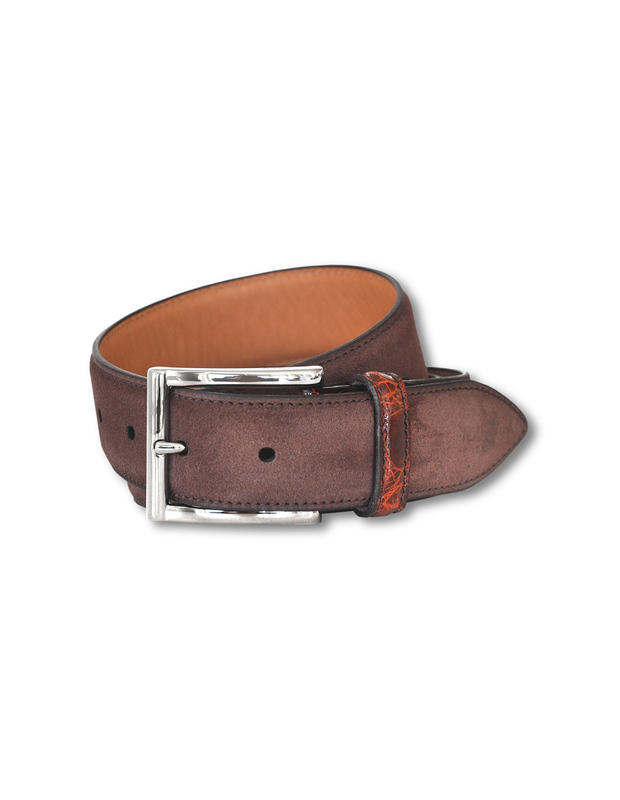 Features genuine crocodile leather tabs and a vegetable-based leather liner. 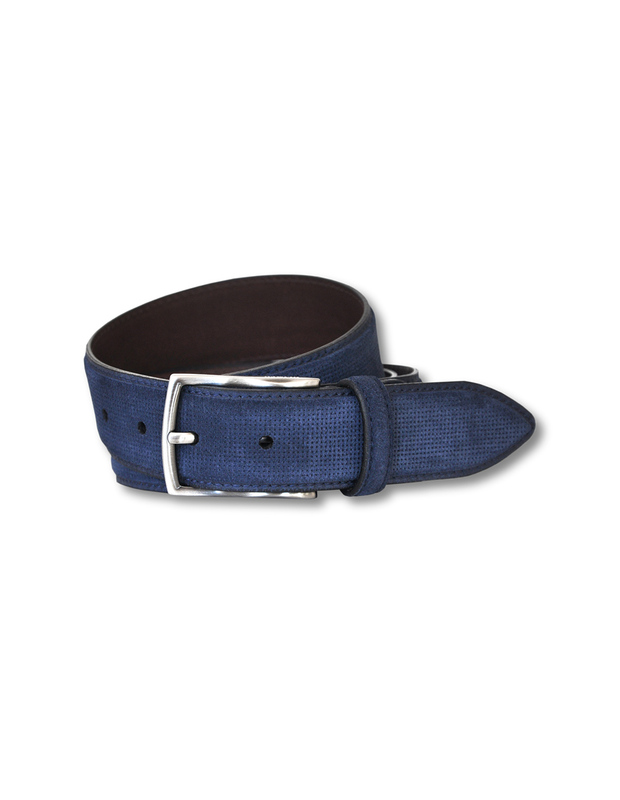 The perforations have been hand-seared and dyed, one by one. 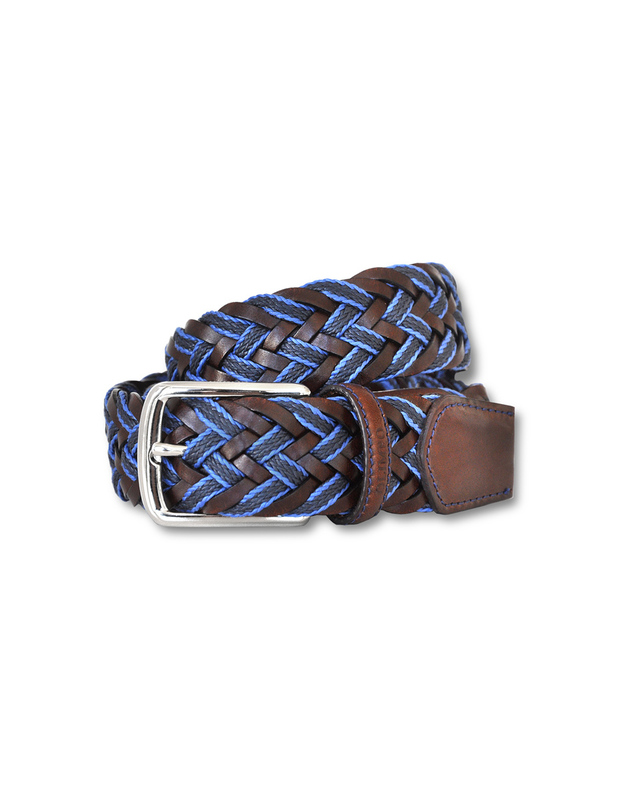 Palladium plated brass buckle guarantees its durability.